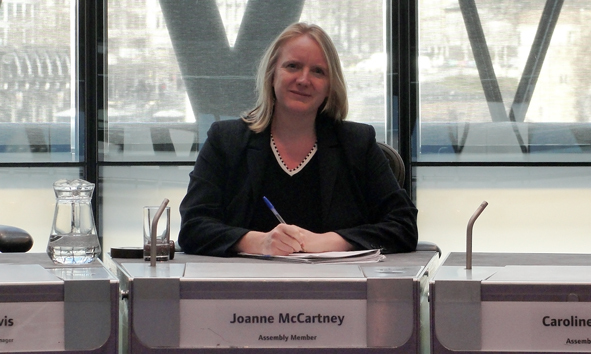 Local Assembly Member Joanne McCartney has been elected to Chair the new London Assembly Police & Crime Committee. At this morning’s inaugural meeting, the Committee questioned an expert panel on how to tackle gangs. The Committee has been set up to scrutinise and hold to account the new Mayor’s Office for Policing & Crime (MOPC). The MOPC was launched last week and replaces the abolished Metropolitan Police Authority (MPA). The role of the MOPC is to scrutinise the Metropolitan Police Service, and in turn the new Committee will hold the new body to account and also investigate policing matters of importance to Londoners. Next week the Committee will question the Commissioner and the Deputy Mayor for Policing, and will also examine the various reports analysing the riots in August. Over the coming months the Committee will be looking at the Metropolitan Police’s future plans, and investigations into the approach of stop and search.